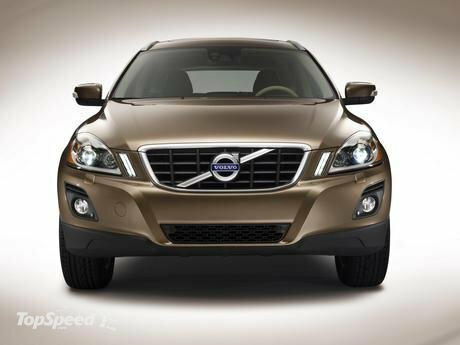 The 2011 Volvo XC60 should see no major changes following its introduction for the 2010 model year. This premium compact SUV seats five and shares elements of its basic design with Volvo's V70 and XC70 station wagons. XC60 should continue to come in base 3.2 and uplevel T6 trim levels. The 3.2 likely would remain available with front-wheel drive or all-wheel drive and have a 235-hp 3.2-liter 6-cylinder engine. The T6 would remain AWD only and have a 281-hp turbocharged 3.0-liter 6-cylinder. A 6-speed automatic would be the sole transmission. Maximum towing capacity should remain 3300 pounds. Available safety features include ABS, traction control, antiskid system, front side airbags, and curtain side airbags. Volvo's City Safety accident-avoidance feature would remain standard. It automatically activates the brakes at low speeds to avoid or reduce the severity of a rear-end collision. Leather upholstery and power front seats should remain standard. Among the option packages that should return are the Climate Package, which includes heated front and rear seats, heated windshield washer nozzles, and rain-sensing wipers. The Multimedia Package includes an uplevel audio system, navigation system, and rearview camera. The Technology Package includes adaptive cruise control, lane-departure warning, driver fatigue alert, and Volvo's Collision Warning, which readies the seat belts and maximum braking force if sensors detect an unavoidable crash. The Convenience Package includes a power tailgate and front- and rear-obstacle detection. This report is based on evaluations of the 2010 Volvo XC60.